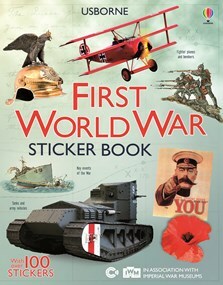 Travel back in time with this fascinating sticker book, jam-packed with information, maps and photographs taken during the First World War. Uncover the key events of the war, the military strategies that were employed on both sides and what life was like for soldiers in the trenches with over 100 stickers of photographs and artefacts to add to the pages. Includes internet links to recommended websites to find out more about the war.